Some of the world’s biggest fashion brands source their clothes from countries where labor is cheap, such as Vietnam. In 2015, Vietnam was the fourth-largest garment exporting country in the world, after China, India and Bangladesh. The human cost is high. Employees at garment factories work six days a week, often at less than USD$1 per hour. Workers are under pressure to meet daily targets and end up working longer hours with barely any breaks or leave. Many of them come from rural areas, travelling huge distances from their home province to find better paid jobs. While they work in the same pressured conditions and for the same minimum wage as others, migrants are often charged twice as much for basic services such as electricity and clean water. Over half of migrant workers travel alone, leaving their children and families in their hometown, to whom they send on average almost a quarter of their income. Because minimum wages are low, many can’t afford the journey home for themselves and end up not seeing their own children for months or even years. Lan, 32, works in a factory in Dong Nai province, southern Vietnam, which produces shoes for global fashion brands. She works six days a week for at least nine hours a day sewing together the heels and soles of the shoes, earning around $1 per hour. She works on 1200 pairs of shoes a day, yet she can't afford to buy even one pair for her son on the amount she earns each month. She also works two extra jobs to make ends meet, as a tailor two evenings a week and serving at a restaurant on Sundays, her only day off from the factory. The amount she earns still isn't enough to support her family - at the end of every month, after paying for essentials like rent and food, she has little money left over. Lan is married, but her husband is unable to work due to illness. She has two children: a fifteen-month-old baby and a twelve-year-old son. She moved far away from home to earn a better living, but Lan's low wages and high cost of living mean that she can't afford for her children to live with her full time. Her parents help look after the children in Lan’s home province, Thanh Hoa, which is almost 1500km away. Lan rarely travels home to visit her family, due to the expensive travel costs and difficulty in taking annual leave. While billionaires are enjoying a bumper growth in their fortunes, the world's poorest women work long days with barely a break and still struggle to earn enough to feed their families. 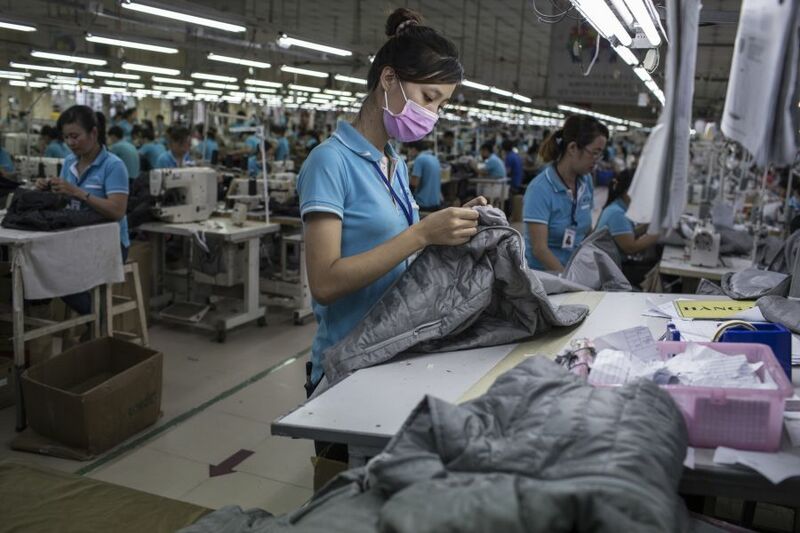 On average, it would take approximately 11 days for a CEO from one of the top five companies in the garment sector to earn what an ordinary worker earns in their lifetime in Vietnam. It’s a sign that something isn’t working. The super-rich are getting richer, while the poor are being exploited and trapped in poverty. But we can change this. We can build a more human economy that works for everyone, not just the fortunate few. An economy that rewards work, not wealth. Let’s fight inequality and together we’ll beat poverty for good.